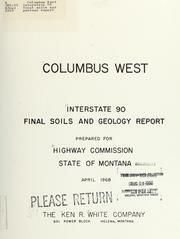 Helena, Mont., Montana Highway Dept. Helena, Mont. : Montana Highway Commission; Milwaukee, Wis.: Lithographed by Moebius Print. Co.
Helena, Mont. : Ken R. White Co.